M J H Electrical Services Ltd - Electrician based in Bridgwater, Somerset. 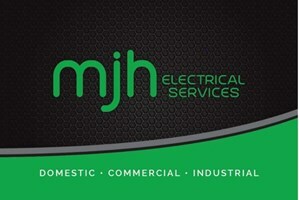 MJH Electrical Services are a small friendly expanding team based in Somerset covering the whole South West area. With over 10 years experience in a vast array of electrical systems, from Domestic, Commercial, Industrial and Agricultural installations and maintenance. We are small enough to carry out work for the private individual and large enough to take on contracts. We undertake all aspects of electrical installations and maintenance work and have been accredited by NAPIT, This demonstrates our competence and performance capability at MJH Electrical Services LTD.
We pride ourselves on providing a highly professional and reliable service at competitive rates. Every customer gets treated as an individual, putting their specific needs first so we can deliver just what they require. Please feel free to contact us on 07803 094054, e-mail us at [email protected] for a free no obligation estimate. Our staff have been professionally trained and qualified. We pride ourselves on being called skilled tradesmen. We have the knowledge and experience which is needed to fulfill your expectations. With our experience and knowledge gained from working within the trade we take pride in delivering services to the highest standards at all times. Bridgwater, Highbridge, Burnham-on Sea, Weston Super Mare, Taunton, Wellington, Langport, Somerton, Wells, Glastonbury, Yeovil, Tiverton, Cullompton, Exeter, Sidmouth.